Notejoy allows you to fully customize which elements show up in the sidebar to suit your needs. 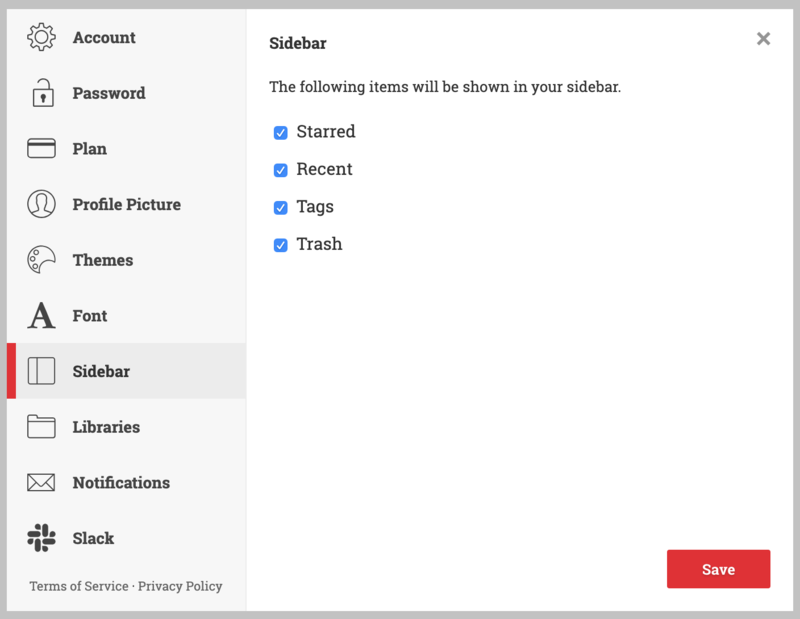 You can remove Starred, Recent, Tags, or Trash from your sidebar if you find yourself not using them and want to simplify your sidebar. Given you can already archive libraries to hide them from your sidebar, you have full control of exactly what shows up in your sidebar.